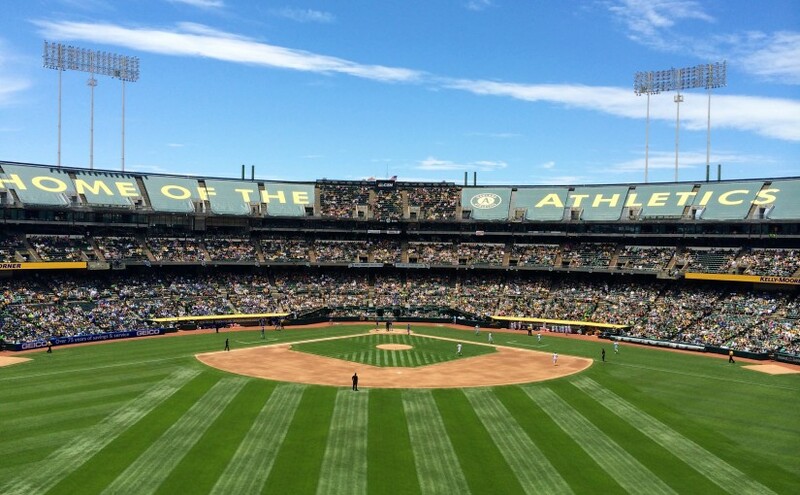 Whether you’re a fan who keeps track of every stat, or you just enjoy singing “Take Me Out to the Ballgame” with a bag of peanuts and Cracker Jacks, you’ve got plenty of options for baseball fun in Northern California. 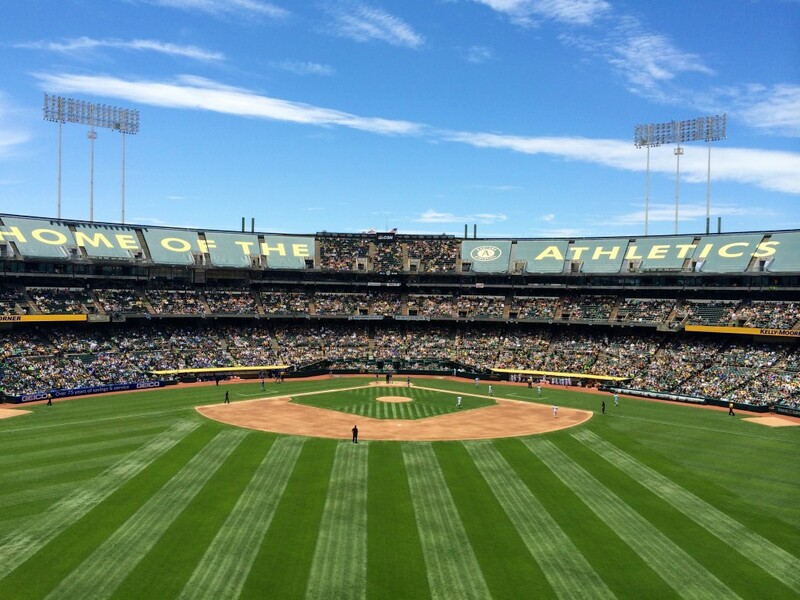 No matter which team you’re rooting for — the A’s in Oakland, the Giants in San Francisco, or the River Cats in Sacramento — the Capitol Corridor makes your trip to the ballpark relaxing and fun. With spacious seating and tables for four, a Café Car serving food and beverages, and free Wi-Fi, you’ll be able to start the tailgate early or check the starting lineup on board. Your best home plate connection is without a doubt the Oakland-Alameda County Coliseum to see the Oakland A’s, winner of four World Series championships while in Oakland. The Capitol Corridor train stops right at the Oakland Coliseum Station, and is about a five-minute walk to the stadium gates. Over a dozen trains serve the Coliseum every day, with convenient schedules to get you to and from all the day games (and some evening games depending on start time). And, the Capitol Corridor offers a 25% discount on travel to and from the Coliseum for regular-season home games– giving you more to spend on hot dogs and fan gear! While the Capitol Corridor train does not drop you off right at Oracle Park, we’ve got a sweet travel secret to let you in on: if you take the Capitol Corridor train to the Oakland Jack London Square Station, you can connect to the San Francisco Bay Ferry. 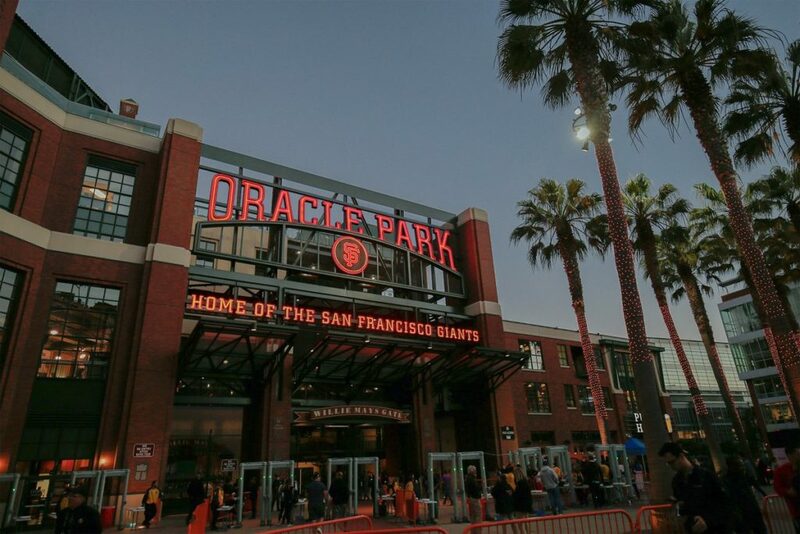 The ferry terminal is about a 12-minute walk from the station and provides direct service to Oracle Park, home of the World Champion San Francisco Giants. After a relaxing train ride and pleasant walk through Jack London Square, you’ll board the special game-day ferry for a scenic ride to the park. Like the Capitol Corridor, the ferry has food and beverages for sale, plus spectacular views as you cruise the Bay in style. Please note that since the Capitol Corridor and the Bay Ferry are separate services, you’ll want to plan your trip carefully to ensure you make your scheduled connections. The ferry only runs one trip to and from the park for each game. If boats aren’t your thing, you can always ride the Capitol Corridor to the Emeryville Station to connect to our dedicated bus into downtown San Francisco. Or, you can ride the train to the Richmond Station or Oakland Coliseum Station, both of which connect directly to BART, taking you into downtown San Francisco. From any of the San Francisco bus stops or BART stations, you can walk, hop on Muni, or hail a rideshare to Oracle Park. True baseball fans don’t just watch the major league teams, but they also follow their minor league counterparts. For Giants fans, that means an easy, traffic-free train ride from the San Francisco Bay Area to cheer on the Sacramento River Cats. 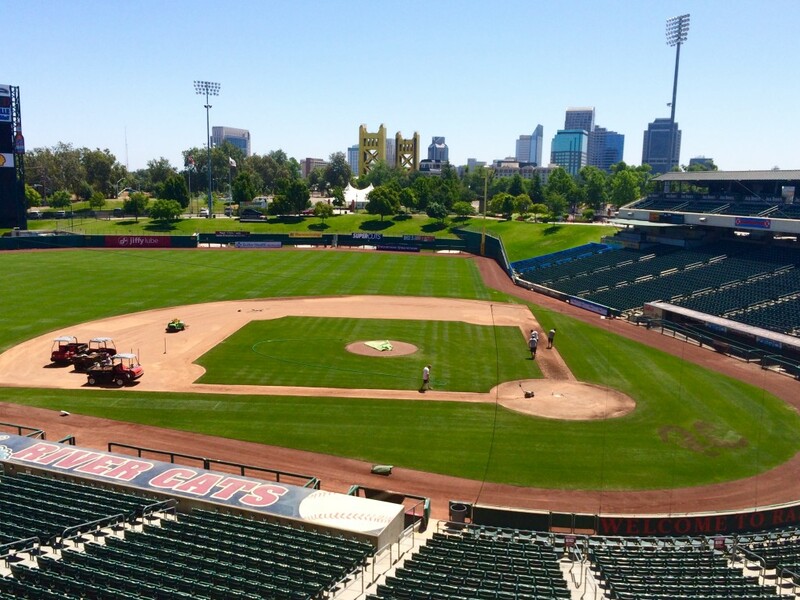 The small and intimate Raley Field evokes the spirit of baseball as it used to be and makes for a fun, family outing in California’s state capital. The field is about a mile from the Sacramento Station: 20 minutes’ walk, or a 5-minute rideshare. Capitol Corridor has up to 30 trains a day serving the Sacramento Station. Most night games may run too late to catch the train back to the Bay Area, but for day games, the Capitol Corridor is the way to go! Next Next post: Enter to Win 4 Tickets to Charlie & the Chocolate Factory at the Golden Gate Theatre!